(CBS) - They say you can't buy friendship. But you can buy man's best friend - for a cool $1.5 million. That's the price a Chinese business tycoon paid for a purebred Red Tibetan Mastiff named Big Splash, now the most expensive dog in the world. The proud new owner - reportedly a coal baron from northern China - will need plenty of space for his new pet, whose Chinese name is Hong Dong. The 11-month-old is 180-pounds and still growing. Lu Liang, Big Splash's breeder, called the dog a "perfect specimen" and told the Daily Mail that the seven figure price tag was well worth it. "We have spent a lot of money raising this dog, and we have the salaries of plenty of staff to pay," he said. 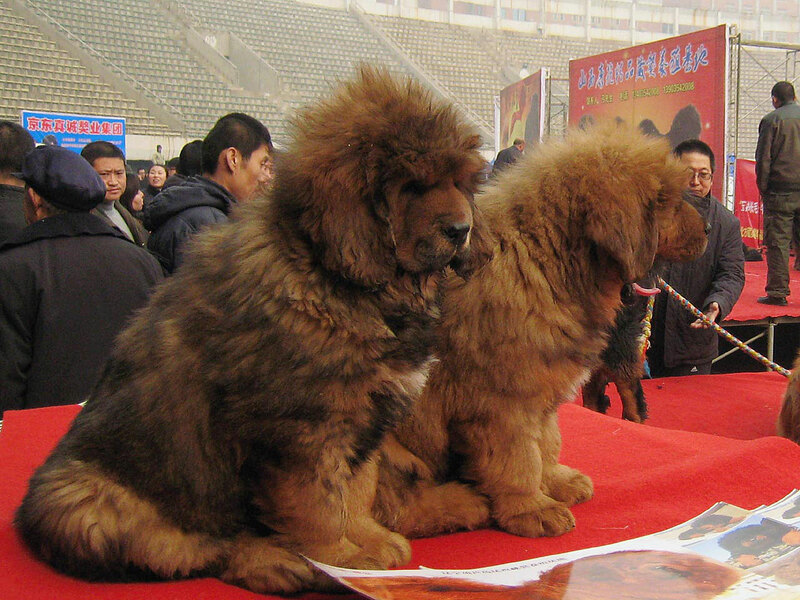 Tibetan Mastiffs have become popular among China's elite in recent years, according to the paper. The newly wealthy are hungry for luxuries, and dogs have supplanted sports cars and jewelry as the newest status symbol. The title of most expensive dog has been held by Tibetan Mastiffs for years. In 2009, a Chinese woman set the record by spending over $500,000 on a mastiff named Yangzte No. 2. Last year, a mastiff was valued at nearly $1.47 million.